Also land in , Count(y)(ies). County on , 20 . 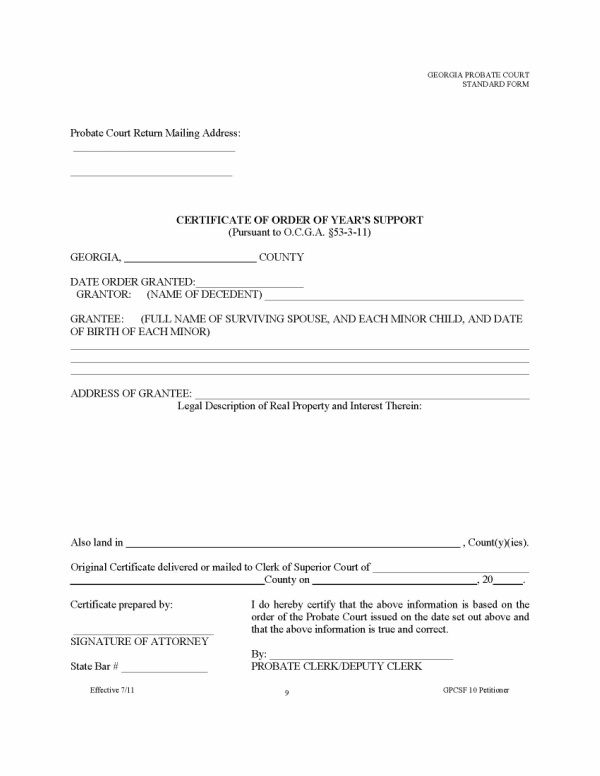 I do hereby certify that the above information is based on the order of the Probate Court issued on the date set out above and that the above information is true and correct.